Censorship in video games is nothing new, especially in countries other than the United States. Australia has a long list of games that it has censored using its rating system including the recent Outlast II. Other countries can be more blatant. Malaysia doesn't even bother with the pretense of using a rating system; it just outright bans any media it sees unfit for Malaysian consumers. The Grand Theft Auto series, banned in 2008, is a good example. So it might come as no surprise that the Malaysian government is again trying to stop a game from being distributed in its country. 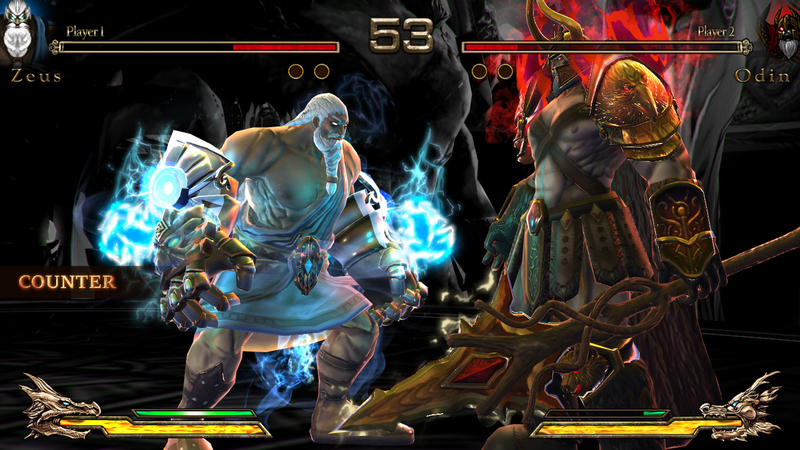 Fight of Gods by independent publisher PQube Games is a Street Fighter-like knock off, that pits gods from myth and religion against each other. I’ve tried the game myself and wasn't that impressed. It has an overly simplified combat system, controls that don't always work, graphics that are mediocre at best, and a frame rate that sometimes drops to absurd levels. That said, it has received mostly good reviews on Steam. You can fight in iconic arenas like Mount Olympus, the Garden of Eden, and the Red Sea. The cast of gods includes Zeus, Odin, Jesus, Buddha, and even Moses who is not a god, but still holds his own. Oddly enough, Muhammad does not appear in the game, which raises the question; why is a predominantly Muslim nation so concerned as to ban the game? The commission takes issue with the way that the gods and religious leaders are portrayed in the game. It feels that it degrades religions and threatens racial unity. “It is in the public interest to ensure that immediate steps are taken so that such contents do not continue to harm others,” said Datuk Seri Dr Salleh Said Keruak, the Communications and Multimedia Minister. Apparently, the game violates Malaysia’s Communications and Multimedia Act of 1998, which prohibits the creation and distribution of offensive content. If Steam refuses to block the content from Malaysian accounts, the MCMC will “take further action.” Salleh did not indicate what other actions were available or would be taken, only vowing that the game's distribution would be stopped. “Malaysians respect all cultural and religious sensitivities, and the sale and distribution of the religiously insensitive and blasphemous games must be stopped immediately,” he said. One reviewer on Steam reports that some Malaysian users are already blocked from accessing the title. Fight of the Gods is currently in early access and is normally available for $7.99, but ironically Steam has it on sale right now for $4.79. That offer ends September 11. It just seems to me that these days it is nearly impossible to create a game that is entertaining and attractive to the players that isn't going to cause some kind of back lash. Why these folks that are do insulted take the time to watch the game, be insulted by it, then spend enormous sums of energy protesting it are rather silly. You're joking, right? This game was made to intentionally offend and not much else. 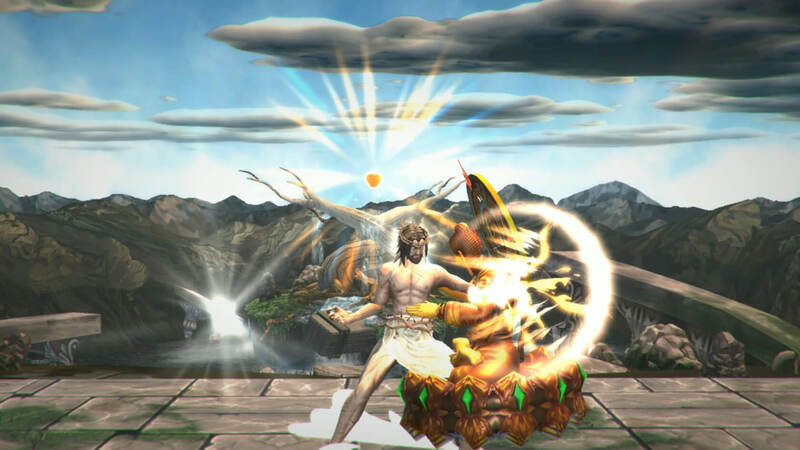 Besides, how does it make sense to even have the likes of Jesus or Buddha, who were nearly always pacifists, in a fighting game? "Why is a predominantly Muslim nation so concerned as to ban the game?" Islam forbids any drawing of Muhammad's face or any portrayal that most Muslims would consider demeaning or trivial - not just by Muslims, but by *anyone*. The more ardent followers of the "religion of peace" will happily cut your head off for it. Stark, mcborge and Puiu like this. Yup, any game depicting any god, from any point in human history, should be banned. "Oddly enough, Muhammad does not appear in the game, which raises the question; why is a predominantly Muslim nation so concerned as to ban the game?" Good question. In Islam, Mohammed, Jesus, Moses, Joseph, Ismael, Isaq, Abraham, Jonas, Noah and Adam among others in between are all considered prophets, who worshipped the same divine God, and are treated, revered and respected equally. The issue of portraying these individuals is up for debate and not everyone is against it, but I do agree that pitting them against each other in a fight is disrespectful. I wish the Malaysians would be smarter than to outright ban it. They just gave a mediocre game advertising that the developers never dreamed of. Yeah, ban all fighting games that have fictional characters fighting each other. They should edit game title to Fight of Alien Gods and call some characters as Jessie, Hammie, Buddie. Yeah, they take their mythical characters very, very seriously, going so far to really believe they actually exist or existed. I think they should add an option where you take several pictures of yourself so the game can make a 3D rendering of you and play as yourself! That would really stir things up! They really screwed up if they don't have Chuck Norris as an option to play, and that would be why they are banning it. Don't forget to add Mo., who is currently left out because the religion of peace will destroy anyone depicting him. lol the world is not ending it may just be the end for human beings. The planet will continue without us if that is the case. And that may even be a good thing for all the damage humans have done to the planet. It would be far better for humans to learn from their mistakes, as we have done in the past, and move forward all the wiser. Nobody still worships any of those gods. Muhammad and Jesus were both real people. In all likelihood so was Buddha. Maybe you should study up on them - you seem to enjoy preaching about your views on religion. Muhummad & Jesus ARE still real people... there must be millions of them on the planet, but with different surnames although there'll be some with the same surname and some won't even have surnames at all, typically in India. So muslim people get offended by someone picturing other people imaginary friends in video game? ... that is so next level absurd. Their having been real people does not equate to what is being taught in their names today. Religious organizations exist because many people (roughly 40% attend services) need to be told that they are free of sin and there is a path to heaven laid out for them. Very few actually follow the words that Jesus, Buddha, and others taught, that God lies within you. Looking within yourself can lead to spiritual enlightenment and a sense of understanding of why things exist. Going to a building to meet with others is much easier, but leads to wherever the pastor/rabbi/cult leader wants you to go, and usually with a sense of superiority over other faiths, which is destructive instead of positive. If someone choose to not believe in a creator, that doesn't mean one doesn't exist, just that religions have re-defined reality to suit their business and political goals. wiyosaya, andrewyoung and cliffordcooley like this. And, at least two of those three were charlatans. For me its all 3. Skidmarksdeluxe and Panda218 like this. I've seen some comments here and elsewhere that do not have any understanding at all about the spiritual nature of looking within - as much as I would otherwise like to. With comments that pretend to have the expertise to understand how Muslims view prophets and how they treat others who view those prophets differently than they do, it seems to me that there are those posting who find that the easy path out is to simply blame others for their own problems and pretend that the source of their own personal difficulty lies in everyone that does not follow their religion. Then again, someone like you understands that such views have nothing to do with spirituality and are purely political in nature. As I see it, anyone who refuses to accept those views is also aware that they are extremist in nature - both those who hold to those views and those who claim enough expertise to say all of another religion holds those views. I think it's obviously ridiculous to ban a game because you don't like its content, but I really couldn't care less about Fight of the Gods in particular. Saw it on Steam briefly, and wasn't even remotely interested. Looks like just another fighting game to me, of which there are already plenty - many of which are significantly better and have more interesting mechanics. I guess this incident will at least give them some free press. While Malaysia is predominantly Muslim as it is ruled by a Muslim party, they actually respect their 3 main religions (Islam, Buddhism and Christianity) to the point that they enforce public holidays for all of them! So it's not too surprising that they would be upset over this game. While it's unfortunate that it gave the game such free publicity, I doubt any Malaysians would be genuinely upset that they cannot purchase it.